Kate McGahan: Life is the School Love is the Lesson: If Doubting Thomas Can Become a Believer, You Can Too. If Doubting Thomas Can Become a Believer, You Can Too. 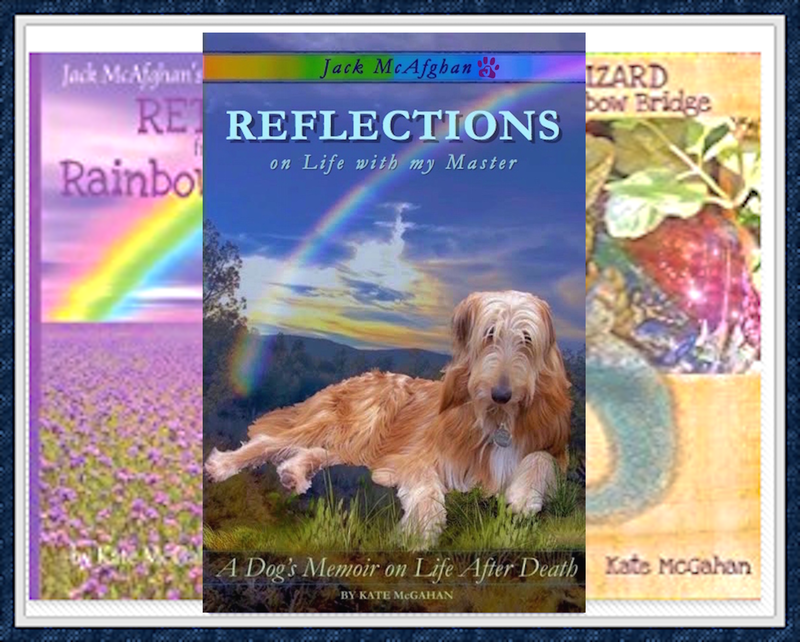 One of our readers begs to differ on the subject of animals going to Heaven. He mentions St. Thomas in his argument. With all due respect to his thoughts and beliefs, I don't particularly appreciate how this contradicts the entire love story of my life and my passing. I wish to clarify our St. Thomas, who was known for being a Doubter, much like my reader. I also like to clarify that while I am not "religious" (religion does not exist in heaven, only spirit exists fueled by the power of love), we must always take into consideration the great writings and beliefs of the people who are of great faith -- no matter what creed. "St. Thomas was born a Jew and was called to be one of the twelve Apostles. His birth and death dates are unknown, but his feast day is celebrated July 3. He lived before the formal establishment of the Catholic Church but is recognized as the patron saint of architects. He was a dedicated but impetuous follower of Christ. When Jesus said He was returning to Judea to visit His sick friend Lazarus, Thomas immediately exhorted the other Apostles to accompany Him on the trip which involved certain danger and possible death because of the mounting hostility of the authorities. "At the Last Supper, when Christ told His disciples that He was going to prepare a place for them to which they also might come because they knew both the place and the way, Thomas pleaded that they did not understand and received the beautiful assurance that Christ is the Way, the Truth, and the Life. 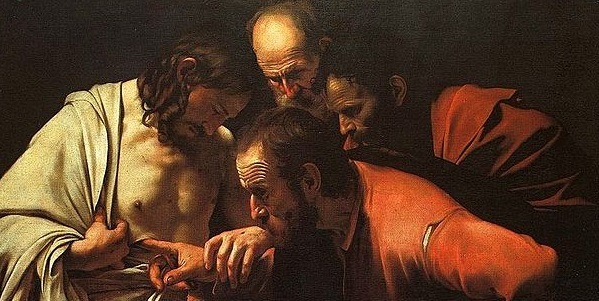 Eight days later, on Christ's second apparition, Thomas was gently rebuked for his skepticism and furnished with the evidence he had demanded - seeing in Christ's hands the point of the nails. Thomas even put his fingers in the nail holes and his hand into Christ's side. After verifying the wounds were true, St. Thomas became convinced of the reality of the Resurrection and exclaimed, "My Lord and My God," thus making a public Profession of Faith in the Divinity of Jesus. St. Thomas is also mentioned as being present at another Resurrection appearance of Jesus - at Lake Tiberias, when a miraculous catch of fish occurred. This is all that we know about St. Thomas from the New Testament. Tradition says that at the dispersal of the Apostles after Pentecost this saint was sent to evangelize to the Parthians, Medes, and Persians. He ultimately reached India, carrying the Faith to the Malabar coast, which still boasts a large native population calling themselves 'Christians of St. Thomas.'"